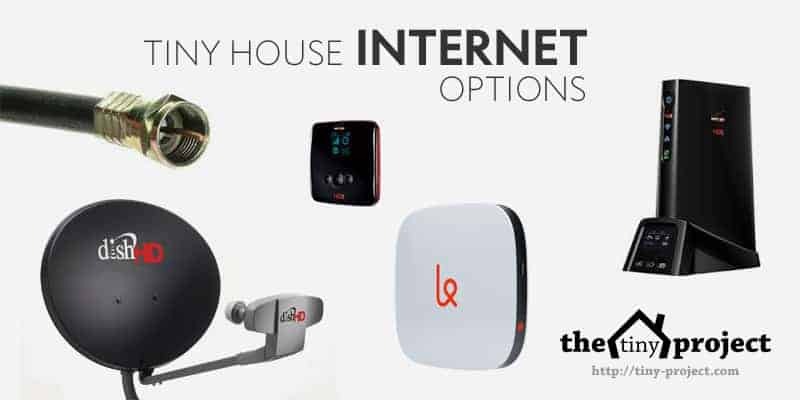 One big issue many tiny house dwellers face is how to get fast and reliable internet service to their tiny house. Many tiny housers have somewhat alternative, location-independent jobs, and often work from home. This makes a good internet connection even more important. Many of us also forgo the traditional cable TV hookup, relying on an entirely wireless, internet-based solution for our entertainment and education (Netflix, Hulu, HBOGo, etc.). Here’s a rundown of some of the more common internet options along with many pros and cons of each. For those of us in cities or other developed residential areas, a traditional cable (or DSL) hookup is most likely the fastest and most affordable way to get internet service. Even if you don’t need TV or phone service, cable provides the best bang for your buck. Larger national companies like Comcast (Xfinity) and Time Warner are most likely to exist in your area, but are generally known for poor customer service. There is a good reason that no one likes the big cable companies. You’ll probably be much better off if you can find a smaller, local cable company. Here in Austin we went with Grande Communications. I have heard stories of cable companies denying service to a tiny house, because they had legal liability issues hooking up the cable to an temporary structure such as a tiny house. Luckily for us, Grande came out and hookup up our house with no questions asked. They were happy to have the business, and maybe being a local company, were less worried about legal issue and generally more helpful. If you can’t get a physical cable to your house, the next best option might be to use a data plan from your cell phone provider, and set up a mobile wireless router or hot-spot. This can be costly, and coverage and speeds are often less reliable, but it’s a decent option if internet at home is a priority. By using your phone as a WiFi hotspot (tethering), you may be able to do this with little or no additional equipment. However, using your phone as a hotspot usually means you can’t simultaneously use it as a phone. For a more permanent solution, major mobile providers like Verizon offer “installed” data-only plans and 4G LTE wireless routers (or mobile hotspots) that will free up your smartphone for normal use. Sprint, T-Mobile and virtually all mobile carriers offer similar data plans and wireless routers/hotspots, but all of them usually have the same restrictions — higher prices per GB, data limits, and overage charges, etc. 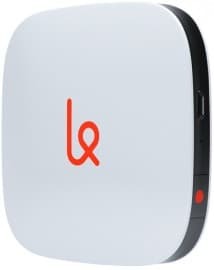 Karma is new player in wireless internet that looks very promising. They now offer unlimited monthly usage for $50. I have not read all the fine print or tried the service myself, but if their claims are true then this is far less expensive than Verizon (or other major) data plans, with the added bonus of no data limit! Speeds on their unlimited “Neverstop” plans are a bit slow by cable standards (up to 5Mbps), but as the only unlimited mobile plan (from any provider that I’m aware of) this will surely be attractive to many tiny house dwellers! Satellite internet is usually thought of as a last-resort when a physical cable or mobile internet is not available. For those living off-grid in less developed areas, in the mountains, or other remove locations, this may be the only option. While satellite internet has improved a bit over the years, bandwidth (speed) is still far worse than cable and 4G LTE mobile internet. For this reason, it will likely be frustrating for most modern-day users, especially when streaming video (if you use the internet as your primary form of entertainment). Companies like Exede and HughesNet are the main players in satellite internet. Plans are tiered like mobile internet, but prices are usually a bit lower than mobile date plans. When I first moved the Tiny Project House to Sebastopol, CA, I lived in someone’s beautiful backyard. The tiny house was within 100′ of the main house for easy access to power and pressurized water. This also meant I could potentially share my hosts’ internet service as well. Very few WiFi signals have the strength to go through one or more walls, and then travel any significant distance, so I quickly realized I’d need a better way to share their internet connection. The most reliable method was simply to string a cat-5 ethernet cable from the modem/router in “main” house all the way to the tiny house, and set up my own wireless router (my own WiFi network) for the tiny house. This way, by piggybacking off of the main router and having a direct cable to the house, I didn’t need to worry about signal strength at all and had a very reliable connection as long as the modem in the main house was functioning. Different internet option exist in different locations, so always check with your “hosts” and for local providers before falling back on the large national companies. Though living in a tiny house does present some unusual challenges, there are always options. With creative solutions and a few simple lifestyle modifications, we can get the services we need while living in an alternative structure like a tiny home. Are there other internet options you’ve considered? If so, please share them in the comments below. Thanks! ← 31 Tiny House Plans & Guides for $49! One consideration for any of these options is to install a NID (Network Interface Device) on the exterior of your unit. It will make the provider a lot happier to have a demarcation point to connect into your unit. You can find them built for RV’s that include Coax and 4 wire telephone connections. However, I would construct something using a three or four port structured wiring plate, Coax, RJ11 and RJ45 keystone connectors mounted in a recessed box with an in-use cover. Were planning on running hard wired ethernet in our unit and use a PepLink Soho or BalanceOne router with a short rack somewhere holding our router and a small NAS array for entertainment and backups (I dont want to store a bunch of USB HDD’s). A benefit of the Peplink boxes is that you can share a USB modem as your internet source (includes monitoring so you dont go over your data allowances) in addition to WiFi-as-WAN functions that lets you tap into an existing WiFi network for access while still having a private WiFi network for your own devices (no putting your AppleTV/Chromecast on a public network). Cradlepoint has similar products, but more expensive. You can also try rolling-your-own using a compatible router and DD-WRT, Tomato, OpenWRT, or any of the other forks. Here in the UK, using a mobile network connection is a much more viable option. Most of the major networks offer pretty cheap unlimited 4G data plans, and will sell you a dedicated router too that does the job perfectly. I’m of the understanding that data plans are pretty expensive in the US though, right? Yes, I should have specified that this info is for the US market. Here, it’s always more expensive to pay for wireless data, because no-one offers unlimited data anymore. That used to be the case, but there has been a huge move to cap all data so they can charge more for high-use and collect more on overage charges. Unless your usage is very low, it’s very pricey compared to any cable connection. I know I’d be paying about twice as much as least if I was on Verizon with the bandwidth I use for both work and for streaming music and video. Alek, when you were in CA, how was your PVC conduit set up? 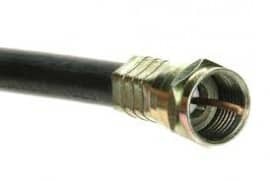 Did you already have CAT5 cable installed in your walls and this was the connection point or did you build a little PVC inlet for the cord that connected directly to your wireless router? We’re currently debating the need for installing CAT5 cable in the wall (albeit, even just a 3 ft run from the outside inlet to an inside wireless router), and I wondered what your specs were and if you could redo it if you would have done one over the other. Thanks! 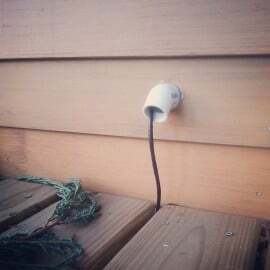 I built this little conduit as an inlet for the cat5 cable. I hadn’t really thought through the internet issue when building the house and assumed I’d be wireless. Otherwise I might have build in a more robust port for various cables and connection types. If I were to do it again, I might just keep it as is (simple, cheap, effective), or I might wire the house with a plate on the outside with connection for cable internet, cat5, dsl phone line, etc to have all my bases covered. Not sure that would make sense though as it would just be a lot of extra wiring, most of which would not be used. I like the simple conduit to let in just the one cable you need at any given time. In my case (now that I have cable internet service) I run the standard tv cable into a modem/router inside the house. Before I did just the same, only with the cat5 cable. It works perfectly like this. I’m combining three replies about the Karma I made on FB as an FYI to those researching it since we are getting one to try out ourselves…. I just bought a Karma and will make a post on our blog about it after we’ve used it for a month or so (www.tinyhouse43.com). We’re in an RV park that has poor wifi reception but great cellular LTE reception, so our data usage went from 6gig/mo to 25gig/mo and almost tripled our cell bill. I got in on the cyber week deal and paid $149 for the device and got $50 “off,” which made the first month of service free. While the speeds aren’t DSL/FiOS level, they’re on par with our cell phone data speeds more or less. According to the Karma map we are not directly in their coverage area, but there is coverage all around us. Our hope is that it’ll pick up a signal anyway since the rest of the area is blanketed with LTE from cell carries. It says three devices can be connected, so our plan is to link his phone, our iMac, and my MacBook Air to the Karma. If after a month we continue to have reliable service from them out at the RV park we’ll downgrade our cell plan with Verizon. I just can’t afford $330/mo forever! Eek!! Hopefully this will be the happy medium so my husband can continue school online without having to drive into town. Hi, I’m so confused about all this. I am currently building my tiny house and will be moving outside town . My landlord has an Ethernet that she plans to run to my tiny house but I’m at a loss as to what to build for it or how to hook it up to the tiny house. Any help would be a small relief to a greatly stressful project. You will need to add some kind of conduit (plastic PVC pipe) through your wall so you can bring the ethernet cable into your house. 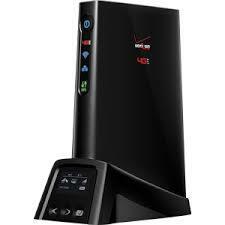 Then you will need your own wireless router to create a wifi network in your house. You’d plug in the ethernet cable in the “input” on the router, and it would work pretty much the same as if you had your own cable or other internet connection. The only thing is to make sure your host keeps their router on all the time so you don’t lose internet in your house. Good luck! You dont even really need to use conduit. Most ethernet cable will string just fine run through the studs or even encapsulated in foam, just dont run it parallel with your electric wiring, leave at least a foot or so and remember to support it and minimum radius bends like you would with your electric wires. You will want to make a few ‘home runs’, find a spot that will act as a mini wiring closet where you can bring all your lines back to. Figure on at least one or two jacks at your TV, one by your couch, maybe one near the kitchen counter and/or dining table, and another one or two in the bedroom(s)/lofts. In your closet, you put a router (and a secondary gigabit switch if you have more than 4 lines in use) and plug everything in there. This would also be a good place to run some RG-6 COAX to and from anywhere you will want a TV in the future. Dual runs of RG6 to each place will let you do antenna and/or satellite. Wire is always easiest and cheapest to run while your building. Wired will *ALWAYS* give you better and more consistent performance than wireless connections. You may as well also run some regular phone jacks while your at it. Plan on an entry point on the outside of your unit. A “keystone” faceplate (about the size of a Decora outlet) with the appropriate connectors (RJ45, COAX, and RJ11) under a Weatherproof, In-Use cover will make your connections look liek you thought things out and will keep them neat and tidy. Run this back to the wire closet, and the ‘internet’ or WAN jack on the router. You might consider a step up router choice to give you some more flexibility. I have used Cradlepoint and Peplink boxes in the past (presently a CP MBR1400) that when set up correctly plays nicer with being ‘double NAT-ed’ (or behind another router), lets you piggy back on someone elses WiFi connection for your internet (and gives you actual ethernet jacks), and can use a MiFi or USB cellular modem to provide service. Presently I have a regional WiMax vendor as primary along with a grandfathered MiFi running together, and a neighbors wifi as fallback.